This post is a bit of a departure from normal posts. It’s a look at what Friend Grief – the blog and the books (the brand, if you will) – was doing at Book Expo America. I’ve attended BEA before (so I wore comfortable shoes and allocated time for standing in the Starbucks line), but this year was different. I had a very specific purpose for being there and the first ever Author Hub gave me the opportunity to take a big step forward. The Author Hub was a dedicated area for self-published authors. Over the course of three days, we heard speakers address a variety of business topics (marketing, rights, agents, discoverability). We had room to conduct meetings, meet with other authors, promote our books, read from them and meet eager readers. My plan for this year was to expand my team. I already have an editor, cover designer and formatter. I went to BEA looking for someone to handle publicity and a website designer. I went there to discuss international and translation rights, as well as determine how best to reach out to libraries. I’ve exhibited at conferences and conventions before, so when people ask me “how did it go?” my answer is as always: “I don’t know yet.” Yes, some deals are struck on the convention floor. But not all business decisions can or should be made that quickly. My new book, Friend Grief and the Military: Band of Friends, got exposure in the New Title Showcase and catalog, and I did a brief reading from it in the Author Hub. I signed with IPR License, which will handle international and translation rights, as well as large print, audio, serialization rights. I may have them handle permissions as well, so if anyone wants to quote from my books, I can direct them to IPR. I met with two candidates for publicist and am awaiting proposals from them. I signed with a new program that will curate and promote self-published e-books to libraries. I spoke on a panel at uPublishU about building your author platform. I was offered a speaking engagement. I found several new outlets for discoverability. And I turned down the opportunity to work with companies that were either not a good fit or sounded iffy. There are more things in very early stages that I don’t want to jinx, and a few opportunities that I’ve filed away for future reference. I have a lot of follow-up to do: thank you’s, requests for more information, inquiries. But you’ll notice one glaring omission: I didn’t mention publishers. Unlike some self-published authors, I did not go there to catch the eye of a traditional publisher. I’m happy doing things the way I’m doing them (despite my lack of patience with the process at times). My disappointments with BEA are relatively minor (like noise level in the Hub, which couldn’t be helped). I was so busy I didn’t get to all the exhibits or educational sessions I wanted to attend. My deepest disappointment is being so busy I didn’t realize Benedict Cumberbatch was there until it was too late. 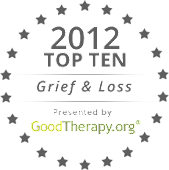 The important thing is that the Friend Grief series now has a higher visibility. More people will be able to learn about the books and find them easily because of my work at BEA. My thanks go out to Porter Anderson and BEA for putting together the inaugural edition of Author Hub. I look forward to an even better experience next year. Viki, it was a delight to meet you in person and to get a sense of what was happening in the uPublishU Author Hub. It was my first time at BEA, so I felt a little dazed much of the time. This post encourages me to sit down and reflect on my own experience-- I think I'll focus on how and why to attend BEA at least once. BTW, did you meet the author of the book Emma, pictured beside yours? It's a Mennonite story, and I'd love to meet the author. I so much enjoyed meeting YOU and love your passion for Friendgrief. Thanks for the info on Death Cafés. I hope to explore doing one of these in my area. As I said, meeting people in person is one of the great perks of an event like BEA. I did not meet the author of Emma, but I'll look up the title in the catalog tonight. Yes, I think everyone should attend this event at least once - even though you are in a fog after a while. Hope to see you there again next year!